Cruise through your day with ease and excellence carrying the Marc Jacobs® Snapshot DTM Mini Compact Wallet. Wallet made of genuine saffiano leather. Iconic Double J brand logo hardware featured in front. Lined interior features six credit card slots, four bill compartments and side zipper pocket with decorative pull tassel for secure storage. 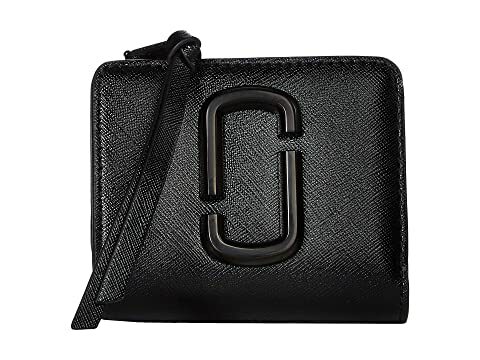 We can't currently find any similar items for the Snapshot DTM Mini Compact Wallet by Marc Jacobs. Sorry!